Morning! It's truly mid winter here in Sweden now. Dark, cold, snowy. We're all hibernating indoors with lit candles eating too many cinnamon buns (I speak for myself on that last point!). At this time of year I feel having a beautiful, cosy home is even more important since we're inside so much of the time. 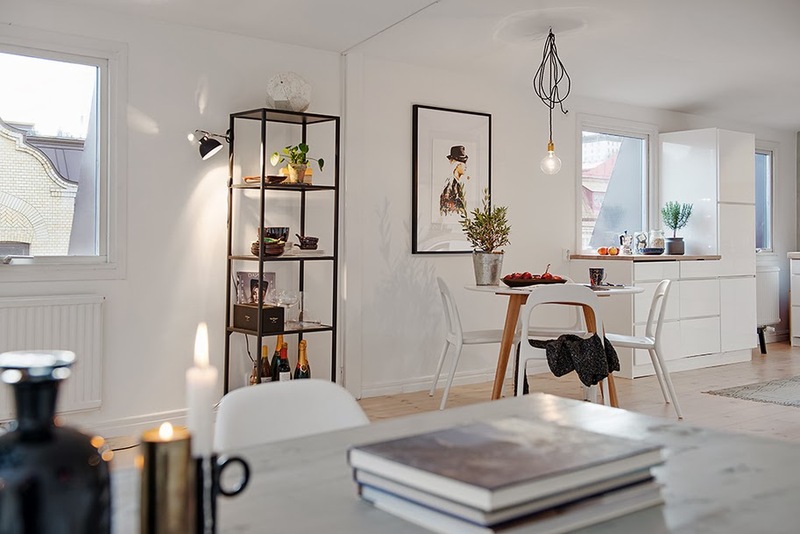 I like this Gothenburg home currently for sale through Alvhem. 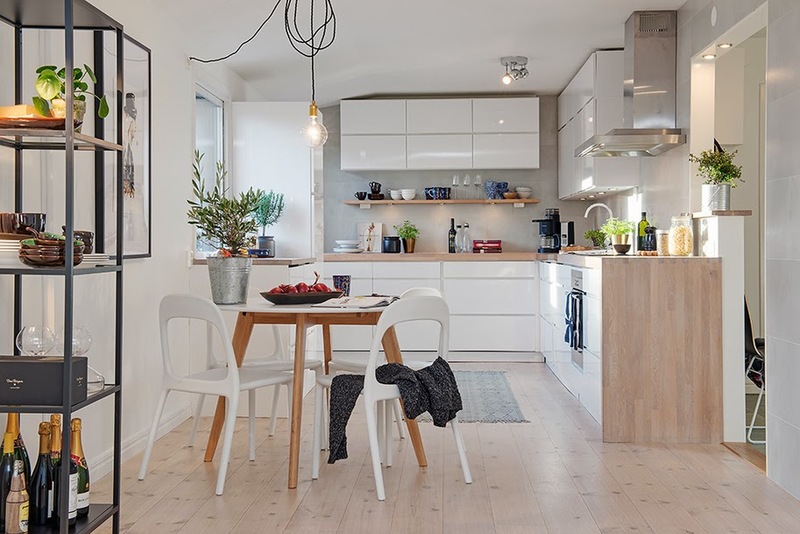 It's light, has beautiful bones and blends high street finds like the Urban chair from IKEA with Scandinavian classics like the Eames DSR chair. My take home message from this home is to add colourful cushions to my sofa in time for spring. How about you? See more fab homes from Alvhem here, here and here. 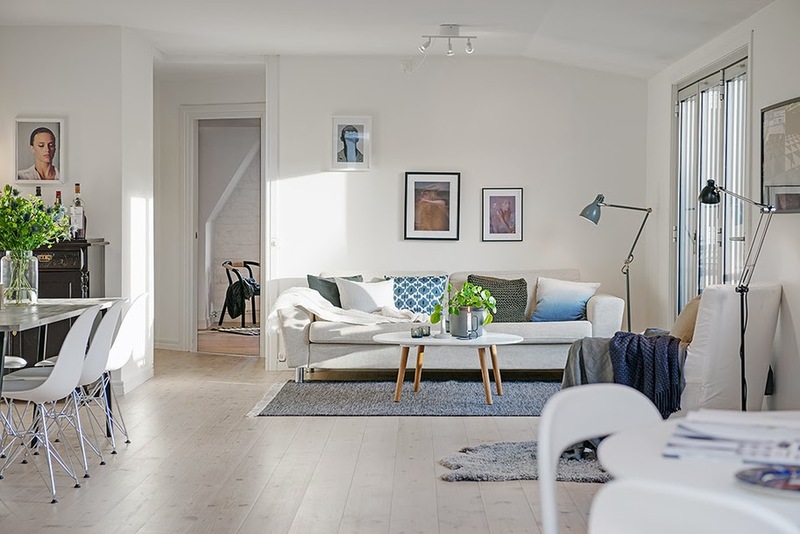 Or for colourful cushion inspiration I'm loving Elina Dahl's home (one of the most ever viewed home tours on My Scandinavian Home for good reason!). Yesterday I had the pleasure of meeting Caroline of Beautifulosophy blog for a fika. It's always so fun to meet someone in person from the blog world, we had such a great chat. I love Caroline's blog, it's such a treat each day. PS If you haven't already, don't forget to enter the St. Valentine's Day give-away here. I particularly like this one. I can't put my finger on it, maybe the wood? It looks very cosy. I like the calm, relaxed atmosphere! Have a great week! An art is not abstract as many people call it. It’s always an impression of something that we do not know. Many artists in Australia are coming up with such impressions and I am glad about it. 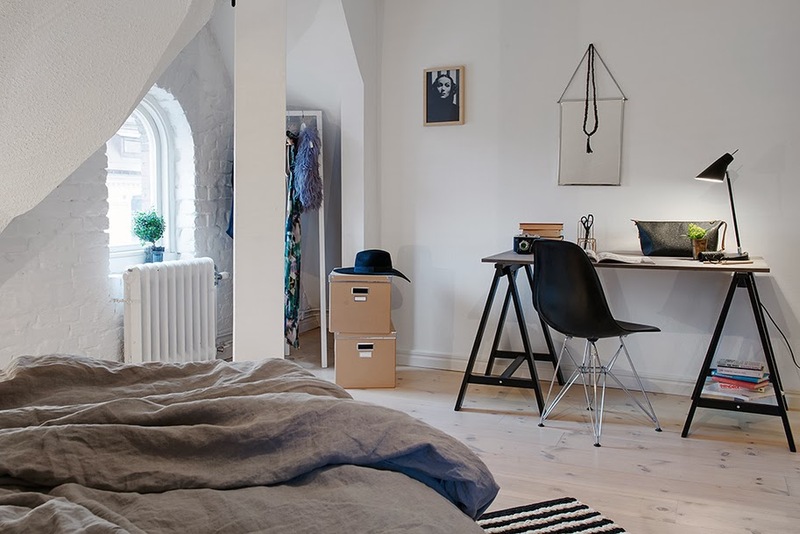 Very nice!, I love the round white table with wood legs, does anyone know where is that table from ? THANK YOU! for doing your blog...I look forward to it...and we are wintery and cold here in Michigan in the USA, too! A cup of tea and your wonderful thoughts/photos always warm me up! Great blog! 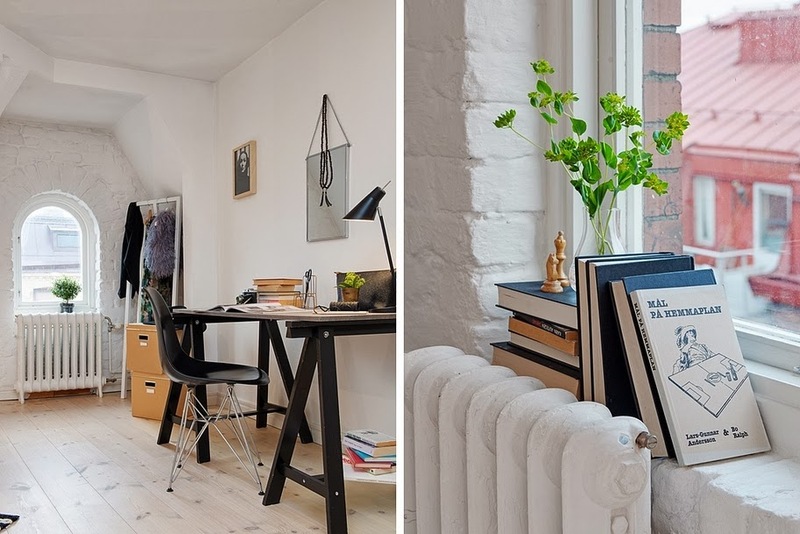 I am a huge fan of scandinavian design myself, and this blog was right up my alley. 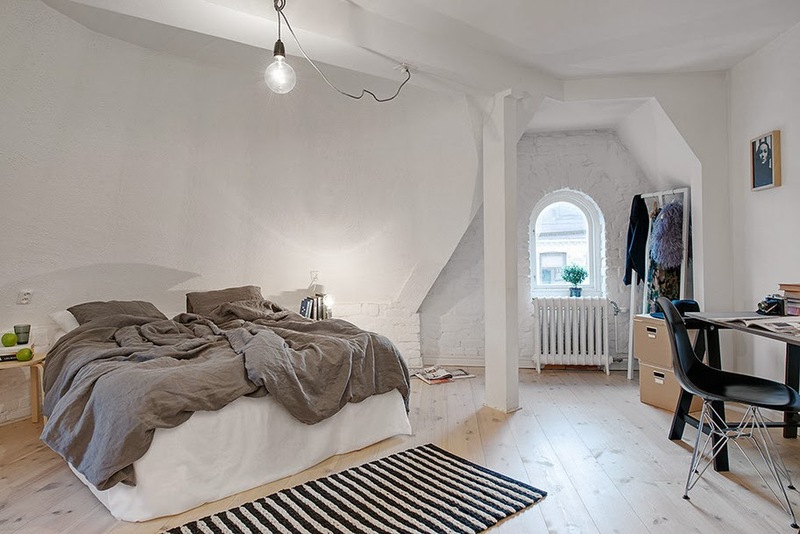 These rooms are so beautiful, not sure about the bed linen but love the kitchen. I love this place!! Really! I really like the coffee table. Any idea where to buy it? I love the round kitchen table. Any idea where to buy it?